What better way to celebrate the anniversary than a social event? Researchers from the Human-Centered Design and volunteers gathered at the Auditorium to commemorate the 7th anniversary and chat about technology. We showcased some of Fraunhofer AICOS’ projects on mobile health and wellbeing and we also presented a project in the area of education and literacy for children. We wanted to show the importance of involving users in our work to develop solutions for diverse societal challenges. Most importantly, we wanted to share our joy in celebrating the project anniversary. We would like to take this opportunity to thank the many hundreds of dedicated older adults who have participated over the years: they have made over 2800 research sessions possible and have been irreplaceable in making the project what it is today! Cheers to the next 7 years! 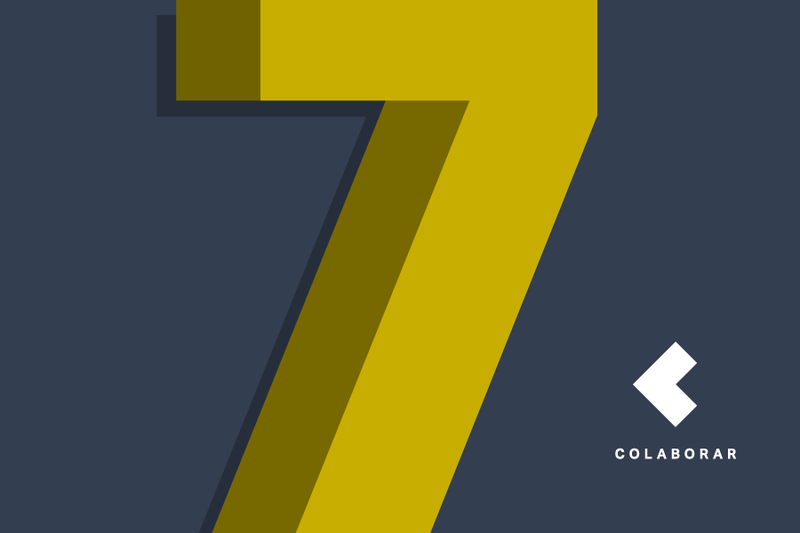 We will be marking the 7th milestone anniversary of COLABORAR on November 26. This celebration will be held at the Fraunhofer AICOS’ Auditorium. This year we planned a celebratory event full of interaction moments between researchers and volunteers, but we will keep specific details under wraps. For now, we only want to share with you the biggest achievements: more than 2800 research sessions with volunteers, 1100 participants and 70 projects supported. We are proud and, above all, grateful to every volunteer who contributed to research and innovation on technology to Propose Futures and Impact Lives of older adults. Fraunhofer Portugal AICOS will participate in the “Family Fair 2016”. 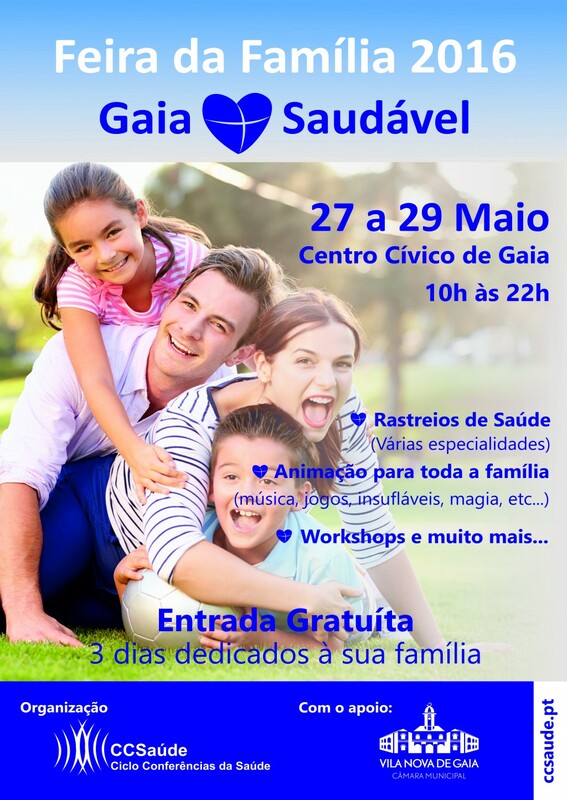 The event is organized by CCSaúde – Ciclo de Conferências da Saúde, with the support of the Municipality of Vila Nova de Gaia. The fair will take place at Centro Cívico de Gaia, in Vila Nova de Gaia, from 27 to 29 of May. 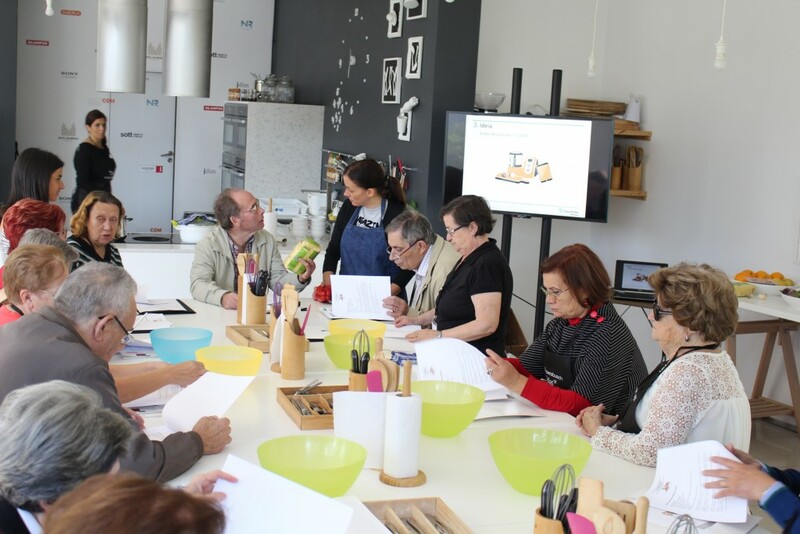 Many institutions and companies in the area of healthcare and assistive products, as well as associations of patients will be present, showcasing their activities and participating in the workshops. The attendees will be able to make some health screenings, and receive information about diseases, how to prevent them and the alarm signs to seek for medical assistance. Centro Hospitalar de Vila Nova de Gaia/Espinho, Instituto Português do Sangue e da Transplantação, IP, Associação Diabéticos D’Ouro and CliniCuidados are among the participants. Fraunhofer will showcase its most recent projects in the area of fall prevention and fall monitoring. 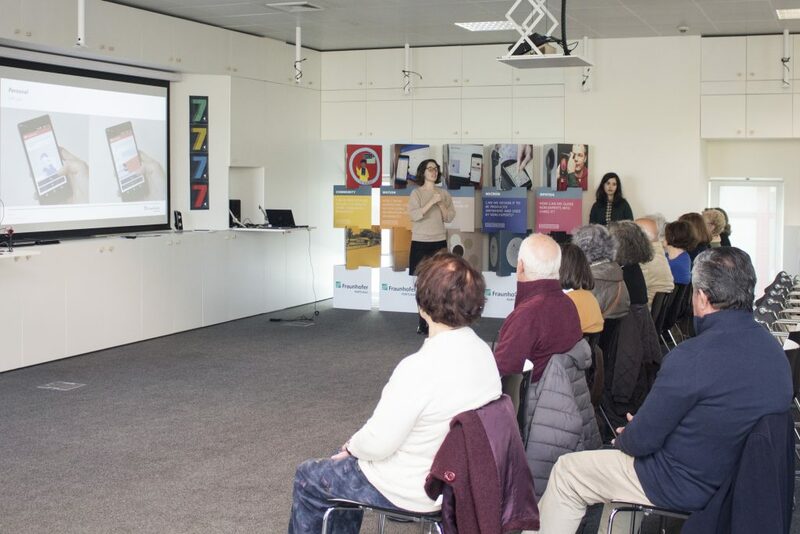 Additionally, Fraunhofer will participate in a workshop entitled “Interactive Games for promoting physical activity and preventing falls amongst seniors”, adding the vision of innovative technology. Day-care Centres, Nursing Homes and Schools will be visiting the fair. The event will be animated with music. For kids, there will be games, magic and inflatable mattresses. Bring the family and have fun! Fraunhofer Portugal AICOS welcomed a group of Master Degree students who will develop their theses in our research centre. Each year, Fraunhofer offers this opportunity, by integrating students in its R&D projects. 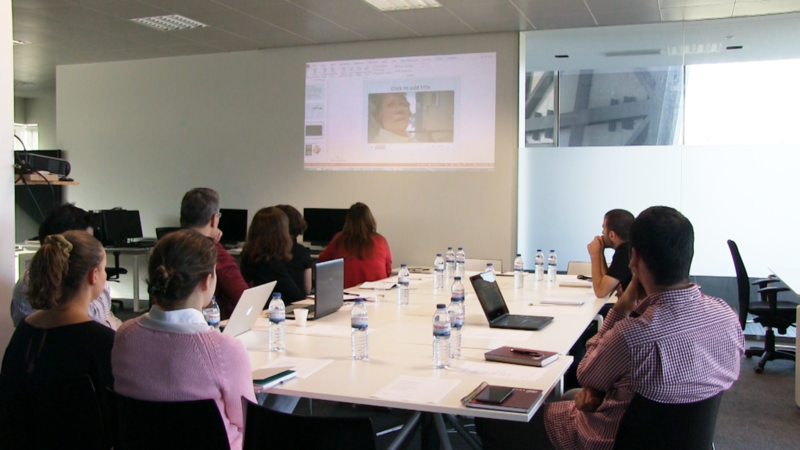 A welcome workshop was prepared for them, in which the main procedures related to Human Resources compliance and Equipment management were explained. Then, Fraunhofer’s main R&D projects were presented, followed by important tips for the development of the theses; important resources and tools were also shared. This will help students organize their work and, on the other hand, learning how to use specific tools for project management will certainly be very useful in the near future, whether they stay at Fraunhofer or carry out their professional activities elsewhere. 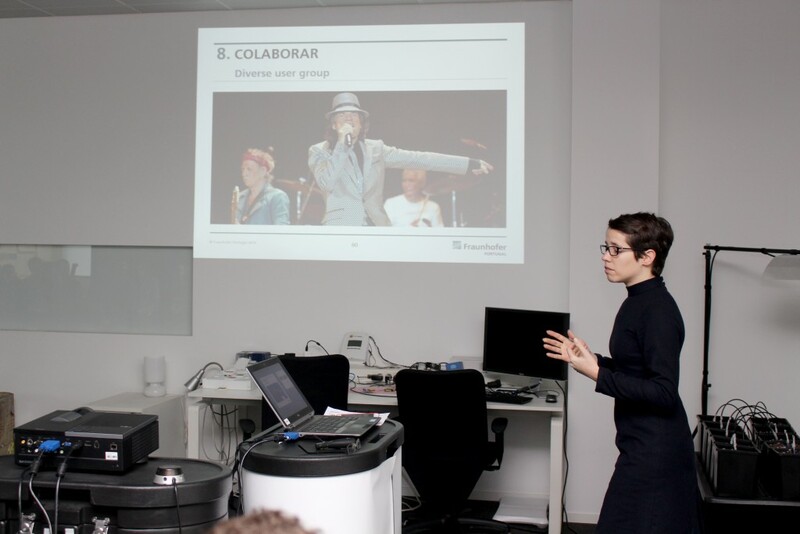 And the workshop ended wonderfully with the presentation of COLABORAR. Students got to know that we can put them in touch with senior users. This will allow students to understand requirements and to later test their applications. They also learned that they can always call the Human-Computer Interaction team for guidance and validation of test protocols. We are glad that COLABORAR will support them in this phase of great significance. We are certain that they will enjoy working in the development of software for seniors and have their help in the process of human-centred design. COLABORAR wishes them good work and hopes they enjoy this time with us and the network! 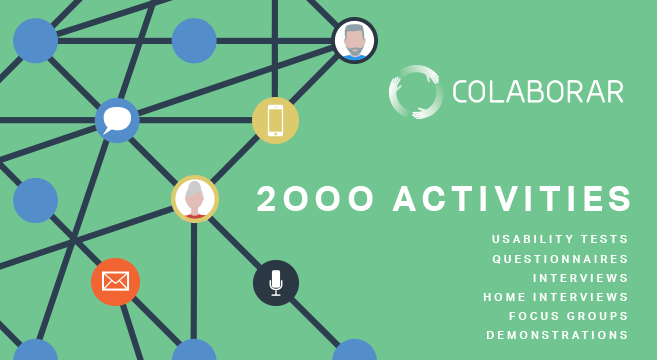 We are very glad to announce that COLABORAR recently completed 2000 research activities! It represents a great accomplishment and we are very grateful to each person who contributed with their time and willingness to participate. The number of activities is proportional to the increase in knowledge and experience in the field of Human-Computer Interaction. Therefore, we are getting better in doing research with and for older adults and our projects become better with the knowledge about seniors. A big thank you! We’ll keep making more and more activities with your collaboration, for sure! We are proudly sharing the video of the ChefMyself workshop! 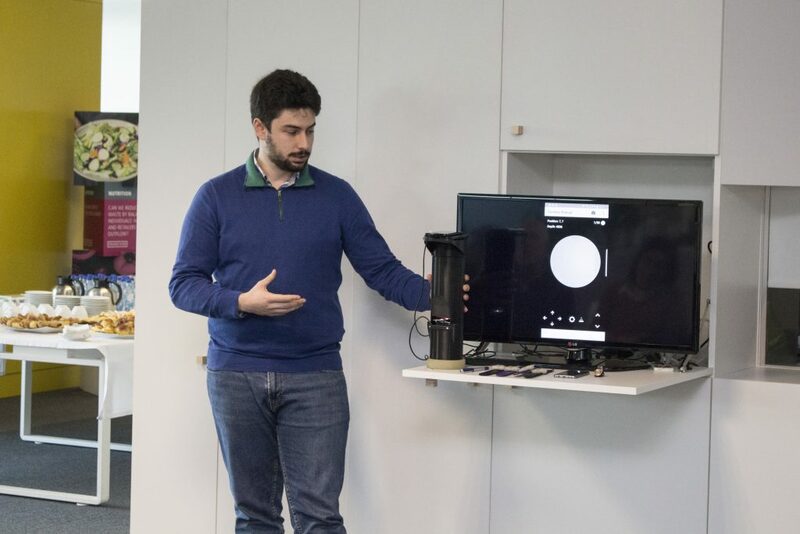 In it, we can see all the participants we invited to celebrate with us the huge success of the project and all the help we got through the different phases of the process of user research, design and development. We registered the moments of joyful conviviality, because the victories taste better when shared. We hope you enjoy the video! A big thank you! 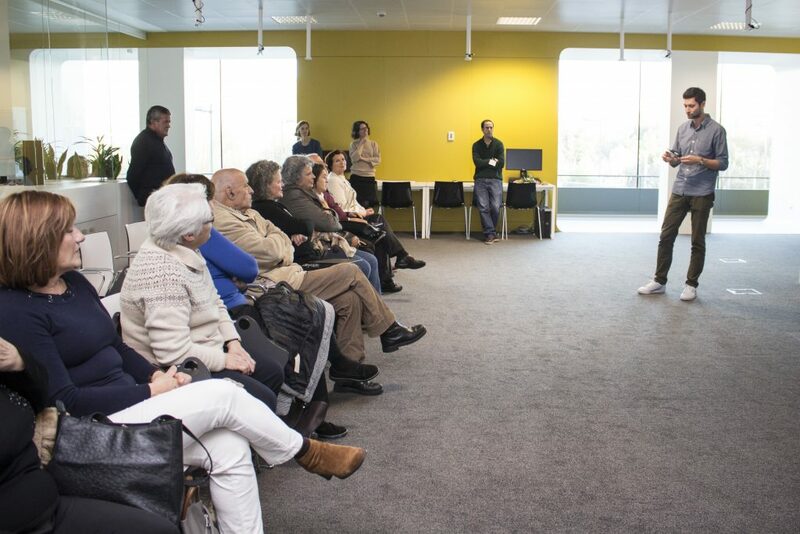 Last Friday 13, Fraunhofer Portugal held a workshop on Dementia promoted by the User Network COLABORAR. 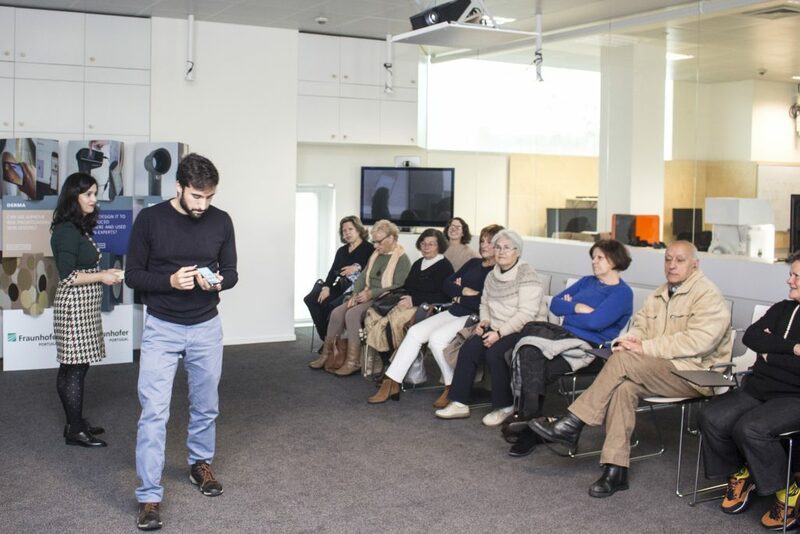 Researchers at Fraunhofer Portugal AICOS carry out many research activities out in the field, namely in Day Care/Living Centres. On the other hand, Dementia is a condition that affects many older adults, being in fact the main cause of institutionalization amongst seniors. Therefore, we thought it would be useful for researchers to learn a bit more on how to interact with seniors with Dementia. The psychologist who facilitated the workshop, Dr Ana Costa, has a vast experience in working with people with Dementia. She explained the process of Dementia and the changes that it brings about. Dr. Costa then gave pointers on how to interact with people with Dementia, namely in the context of participatory methods. The workshop, which combined theory and hands-on moments through role-playing, was an opportunity to reflect on the perspective of the patients and also offered many practical tips on how to deal with common difficult situations evolving patients in the context of institutions. Many strategies to promote well-being for seniors affected by this condition were also presented. We will certainly go out into the field much more confident from now on. Today, October 16th, is the World Food Day. In order to mark the date and thank the seniors who actively participated in the project ChefMyself, we could think of no better way to do it than gathering with all around pots, pans and casseroles. 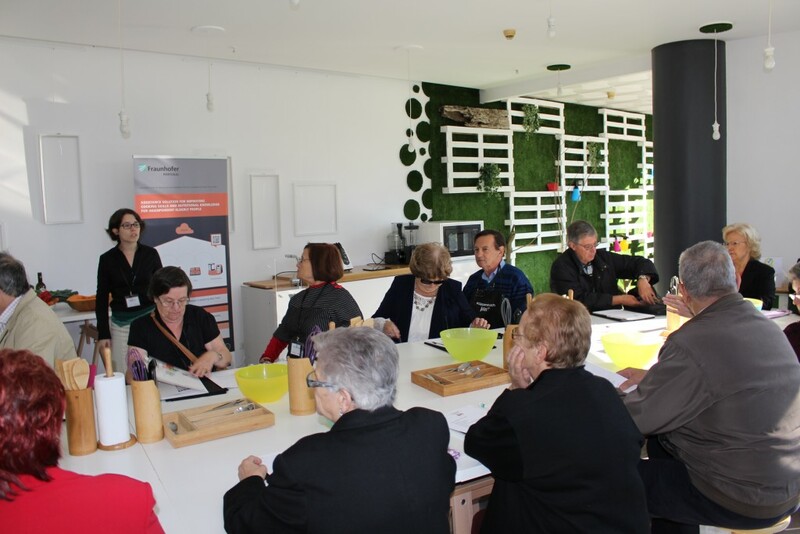 Thus, ChefMyself organized a healthy cooking workshop at Work – espaço criativo and counted on the collaboration of nutritionist Mariana Bessa, from Nutrir, and chef Luísa Ginoulhiac, from the blog No mundo de Luísa. 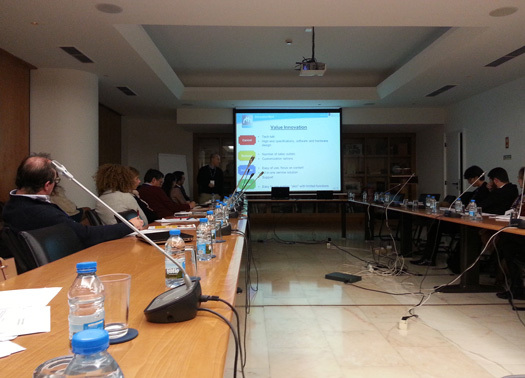 We started by talking a little bit about the work we at Fraunhofer have done since our last workshop, in October 2014. We remembered the different stages project ChefMyself went through, in which seniors participated. We highlighted their precious help in it – from the initial interviews to the tests with the tablet devices and the kitchen robot. Afterwards, we had a session with the nutritionist to demystify current beliefs about what to eat. 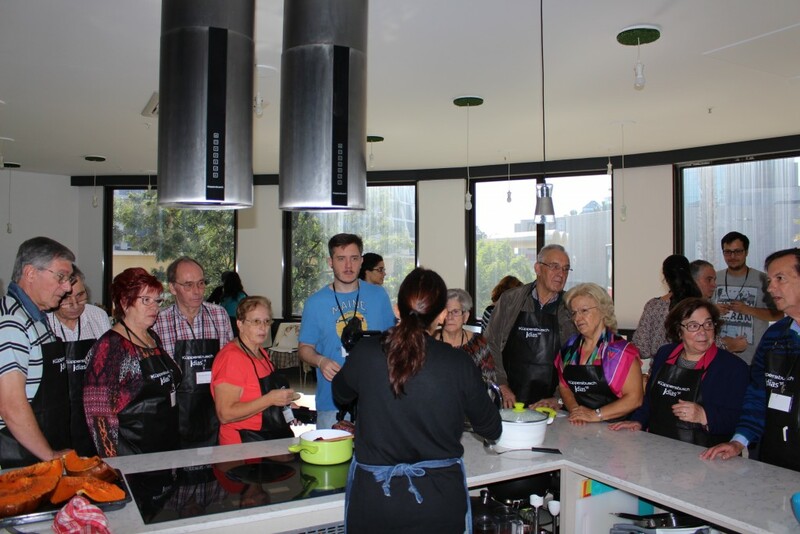 Then we put all the knowledge into practice and, under the supervision of Luísa, got our hands dirty in the preparation of a healthy, easy to make and, we must say, delicious meal. The menu was composed of pumpkin soup, roasted salmon in the oven garnished with vegetable couscous and as dessert, trifle of red fruit and yogurt. The choices were based on the nutritional value of the ingredients and their seasonality, as season’s vegetables were favoured. There was also a special concern with our guests’ food restrictions. All prepared the meal while hearing the suggestions and cooking tips of the cook. In the end, we all got to taste the food and each participant took with them a booklet with the recipes, so that they can easily prepare them at home. This was a good way of commemorating the success of our project and socializing with our friends who helped us a lot throughout the project. 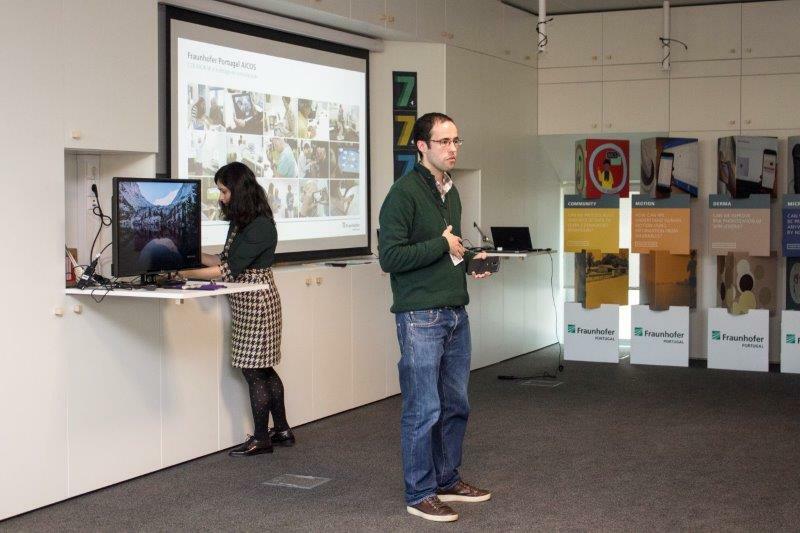 Each year, Fraunhofer Portugal welcomes new students of Master courses in its research projects. 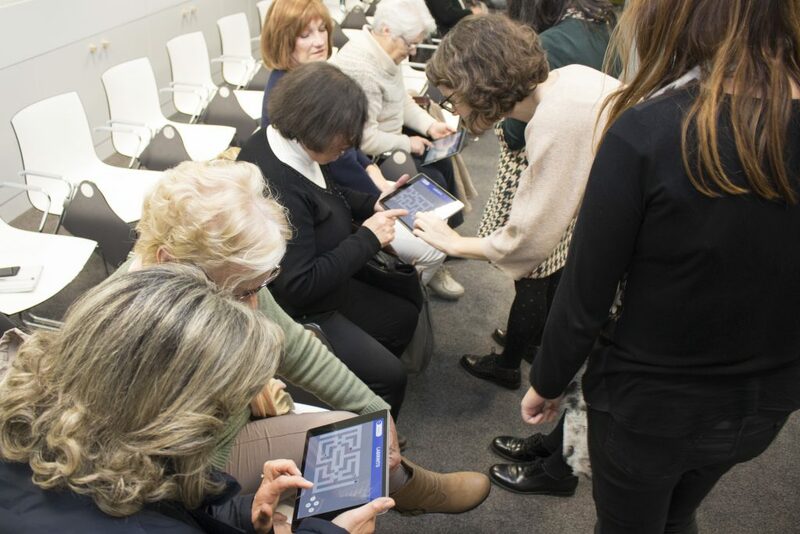 This year, many students were challenged to design, develop and implement mobile technological solutions in the areas of health and well-being of older adults and also in the field of social and economic development. 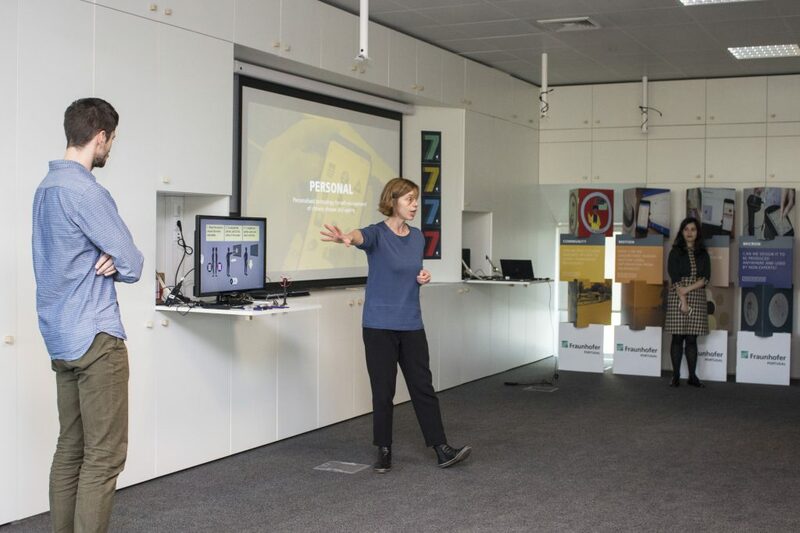 Fraunhofer AICOS provided the opportunity for students to enrich their projects with a user-centered design process and to test the prototypes of the solutions with different target groups: children, young adults, seniors and immigrants. This year COLABORAR supported 10 Master Theses: ICT4Dgui, Exerbalance, EMGesture, mActivityClassify, mscWESEJ, LiteracyTracker, NeuropathyDetect, KneeGraphy, EzNav and SmartRecovery. We have already presented you each of the Master Theses and now, we proudly announce their conclusion and share a common sense of job well done. 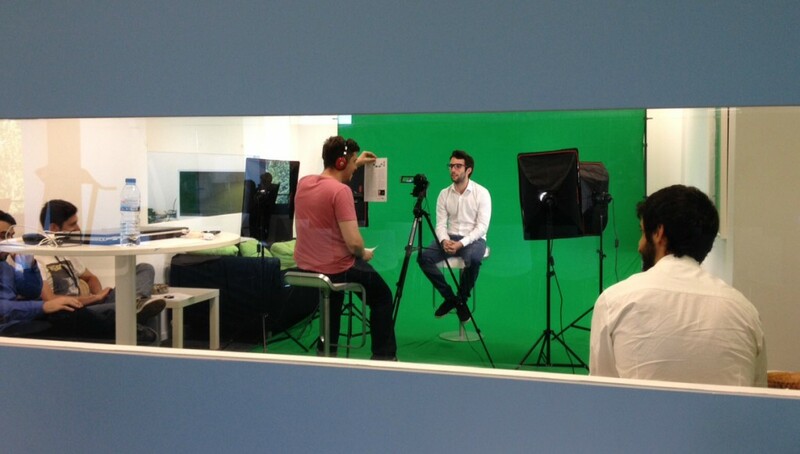 All students were also interviewed about their work at Fraunhofer, so soon enough you will be able to check those interviews as well! COLABORAR wishes a great success to all students who developed their theses at Fraunhofer Portugal and heartily thanks all the people involved in the tests, making them possible: seniors, children, young adults, immigrants, parents, teachers, collaborators and the people in charge at the institutions. COLABORAR participated on a Business Coaching Workshop organised by the project SIforAge and held at CIMPOR INTERCEMENT, in Lisbon. As COLABORAR is a stakeholder of the project SIforAGE, Santa Casa da Misericórdia de Lisboa invited Fraunhofer Portugal to participate in a debate about the senior market segment, on business coaching and on a Master class related to the SME Instrument in Horizon 2020. 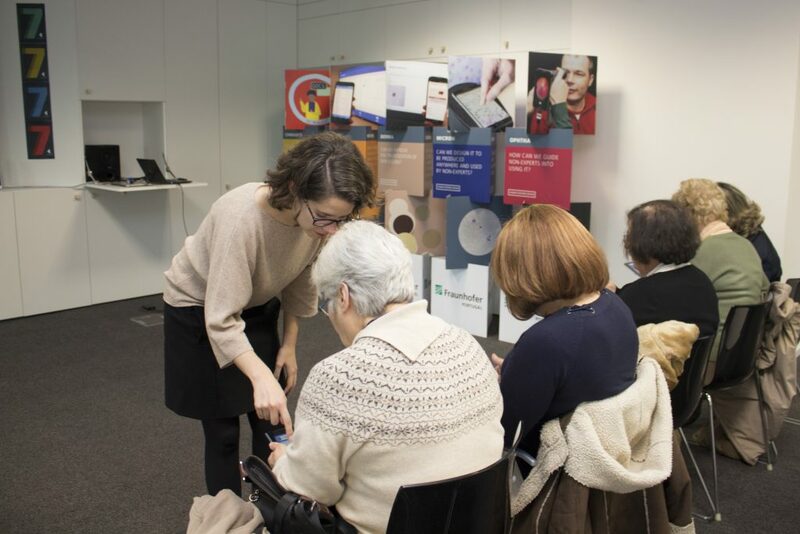 COLABORAR got together with companies and social institutions in the area of senior care and wellness and shared experiences and good practices from the field in conducting studies with senior end-users, with a special focus on ethics. In was a honour for COLABORAR to be invited to this event.